SRA Home Products is installing screen rooms at homes throughout the Toms River, New Jersey, area. Temperatures in Toms River regularly climb into the high 80s during the hot summer months. When it’s that warm, you may struggle between wanting to take advantage of the beautiful weather and wanting to stay cool indoors. Screen rooms offer the best of both worlds: they let you cool down inside while still being immersed in the beauty of your backyard. 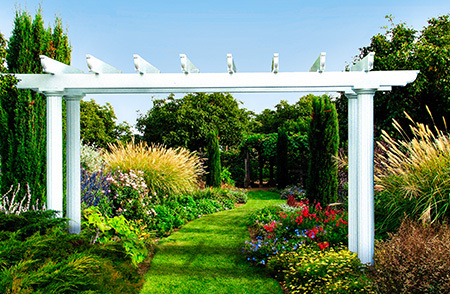 Our screens offer full ventilation, allowing you to enjoy cool breezes while you sit in the shade. On especially warm or rainy days, you’ll have the option of lowering our lightweight vinyl sashes, which block up to 99 percent of UV rays. Our rooms feature solid thermal roofs that deflect heat from the sun, helping to keep temperatures cooler underneath. 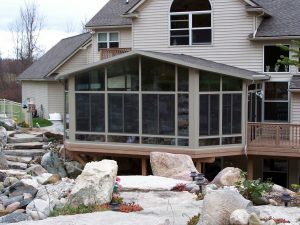 We understand that installing a screen room can be a big investment, and that you’ll want to ensure your addition will remain functional for years to come. 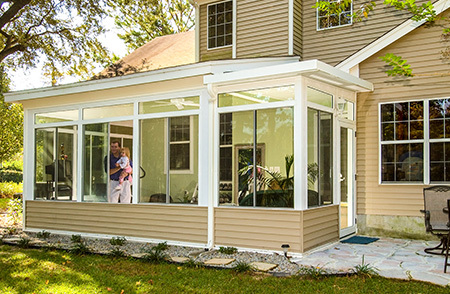 You can rest easy knowing that if your needs change in the future and you decide that you would rather have a sunroom, our TEMO screen rooms can easily be converted to sunrooms by replacing the vinyl sashes with TEMO’s HPG 2000 glass. This state-of-the-art material offers an SPF (sun protection factor) of 59, and can be upgraded to having an SPF of 85. If you’re interested in having SRA Home Products install one of our screen rooms at your home in Toms River, NJ, please call us today. Our knowledgeable team will be happy to answer any questions you may have and begin assisting you with the design process.